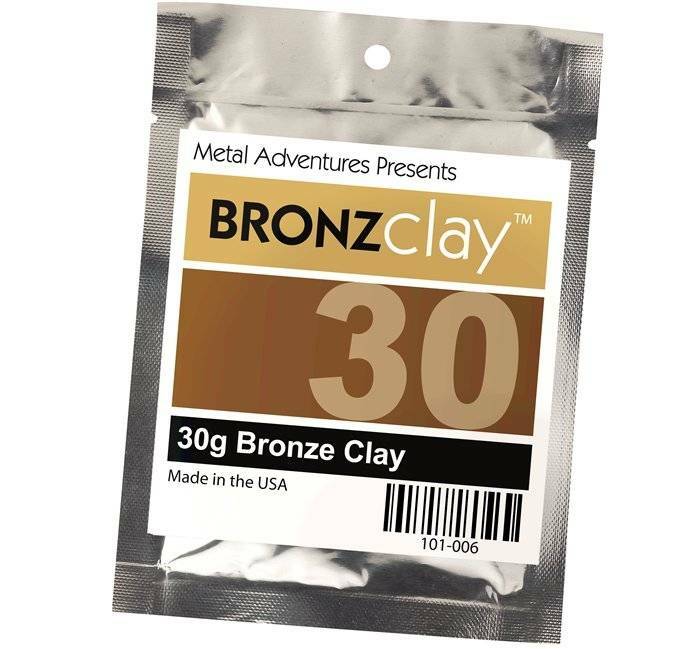 BronzClay 30 grams - Just as precious metal PMC does, new base-metal clay, BronzClay provides a incredible artistic range. And, because it is bronze, it is also so economical that you can use it for large pieces--even sculptures--very affordably! Like its precious-metal counterparts, BronzClay can be pinched, rolled, sculptured, cut or manipulated any way you like. Then fire it and the binder burns away leaving a solid, pure bronze object. Create jewelry, jewelry components, or custom-crafted specialized tools. You can even practice new techniques or design ideas using BronzClay, then apply your new skills to precious metals. PLEASE NOTE: BronzClay must be embedded in activated carbon in sealed vessel during firing. Carbon and container are sold separately. Here is a Mezuzah made of BronzClay and hand polished with fine polishing pads. it was fired in Coconut Charcoal at 500F per hour to 1550F and held for 3 hours. Shrinkage was around 30% !